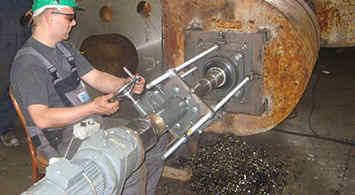 MarineShaft carries out all kinds of repairs to propeller equipment and rudder arrangements world-wide. We have a wide range of specially designed mobile equipment that enable us to carry out the job on-site. 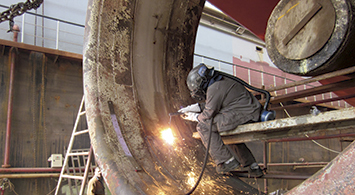 We have a well educated team of service engineers, propeller specialists and certified welders, who are ready to start out wherever and whenever called. Boring of stern tube, rudder neck bearings, rudder horn etc. Machining of cones in rudder blades, cones on shafts etc. We can also provide you professinal assistance as supervisor. We are always at your disposal for advice, guidance and feel free to contact us for a non-binding offer.